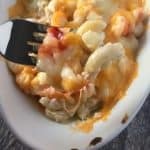 This easy lobster mac and cheese recipe pairs three delicious cheeses and rich lobster mean together and then topped with more cheese for a decadent dinner. You will be blown away by this amazing dish. Follow my tips below to make this dish an easy weeknight meal. Hey there! This is Heather from Totally Tailgates! Jenny invited me over to share with you one of family’s favorite “company is coming” casseroles. 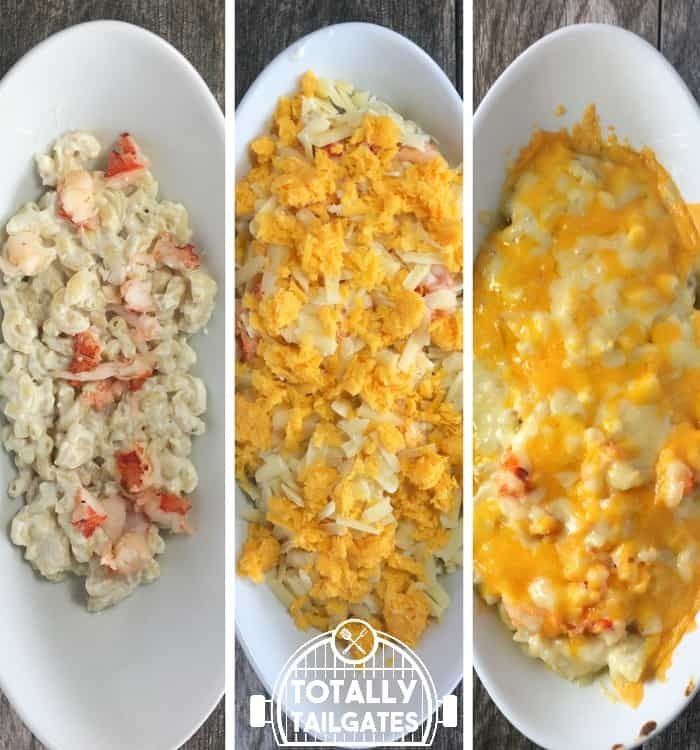 I am thrilled to be here at The Melrose Family to tell you how incredibly easy it is to wow your friends with a decadent lobster mac a cheese casserole! Not every day is game day, and at Totally Tailgates we enjoy sharing incredible meals with our family and friends all year long. When company is headed to our home, I almost always lean towards a casserole as the centerpiece entree. Casseroles are so very versatile and usually a fairly economical way to serve a crowd. Pair a good casserole with a fresh salad, hot bread, and iced tea and you have a full dinner! Lobster mac and cheese is one of those meals your friends & family will think you spent hours in the kitchen in preparing. And, it just sounds expensive, right? Wrong.! This recipe is easy to prepare and more budget friendly than one would expect! Let’s get the game started! Your main players on the field are frozen lobster tails and six cups cooked macaroni. I purchased this pack of lobster tails at Wal-Mart for around $12. Only one is used in lobster mac and cheese, so I spent about $4 on a delectable piece of seafood for the whole casserole. 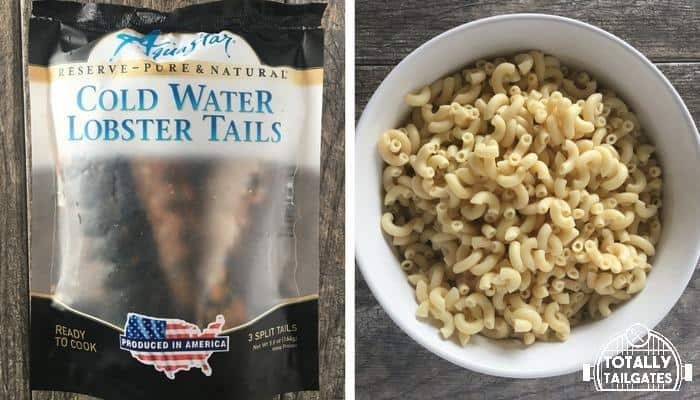 🙂 I baked the other two tails, and used them for salads….we love suppertime salads on hectic school days or hot summer nights. Have noodles already cooked for easier prep. To keep the pasta from sticking together after if has been cooked, add a little olive oil to the macaroni and stir it together. 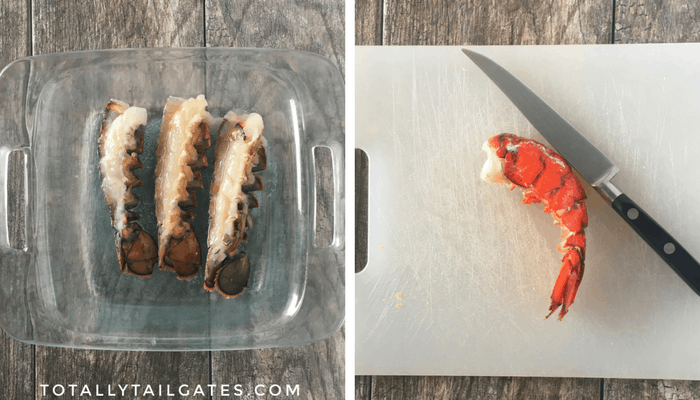 You only need one lobster tail for this recipe, but I like to bake a few lobster tails and use the others for weeknight meals. Use whatever Parmesan you have on hand… even the cheap bottled stuff will work. Whole milk works best. Low fat milk will not give you the best results and will leave you with a thinner and less creamy cheese sauce. Cook six cups of macaroni drain, and set aside. Get your three cheeses ready: cheddar, Gruyere, and Parmesan. I know you are wondering if I actually used powdery Parmesan from that green bottle that our mama’s all used and the answer is yes…yes, I did! Feel free to use freshly grated Parmesan cheese if you wish. It will taste wonderful either way. I used what I had on hand, just like my mama used to do! Gruyere is a little on the pricier side, the canned Parmesan helps keep your budget on track, too. Spray a glass baking dish with non-stick cooking spray, and place thawed lobster tails in the dish. I dotted the meat in the tails with tiny pats of butter, which is totally optional. I never miss a chance to introduce seafood to butter, so I was literally on autopilot during the preparation phase! Cook until the shell of the tail is a pretty shade of red or reaches an internal temperature of about 135 degrees. Coarsely chop Mr. Lobster, and set aside. We’ll come back to him in a sec….. Meanwhile, you will make a roux which serves as the basis for the cheese sauce. A roux is simply a reduction of butter and flour which is blended over heat until thickened. 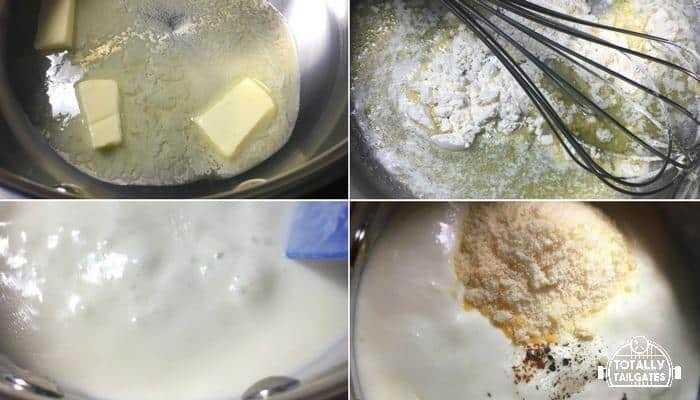 So, melt the butter, whisk in the flour and then the milk. You’ll want to stir the mixture continuously until it is thick and bubbly. This takes a while, so if you are stirring and wondering “how long does Heather think this is going to take?! ?” just keep stirring. I’m with ya. After the mixture is bubbly (and your home is smelling great), and the Parmesan and spices. Voila! A homemade cheese sauce! Now, we are in the homestretch! Gently fold the prepared macaroni noodles into the cheese sauce. Now, it is time to get back to Mr. Lobster! First, spray a casserole dish with non-stick spray. Add a layer of noodles with the cheese sauce, and top with the lobster meat. Add shredded cheddar and Gruyere cheeses. Bake until hot and bubbly! For an authentic and coastal meal, pair your lobster mac and cheese with some Southern Style Hushpuppies! Side note: This recipe makes 6-8 servings and since I am an empty-nester now, I made three smaller portions for two. So, if the photo on the left looks like a small portion, well it actually is smaller! 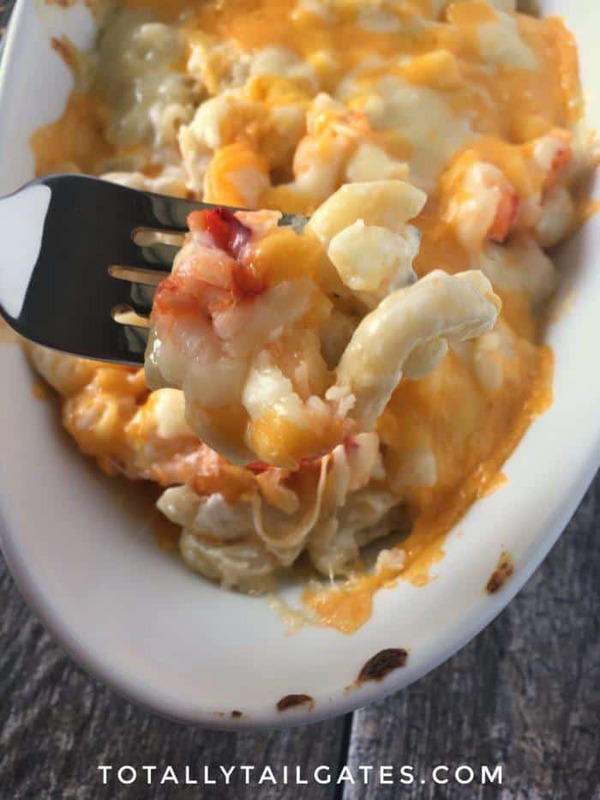 You can also prepare lobster mac and cheese in a larger 9×13 baking dish. 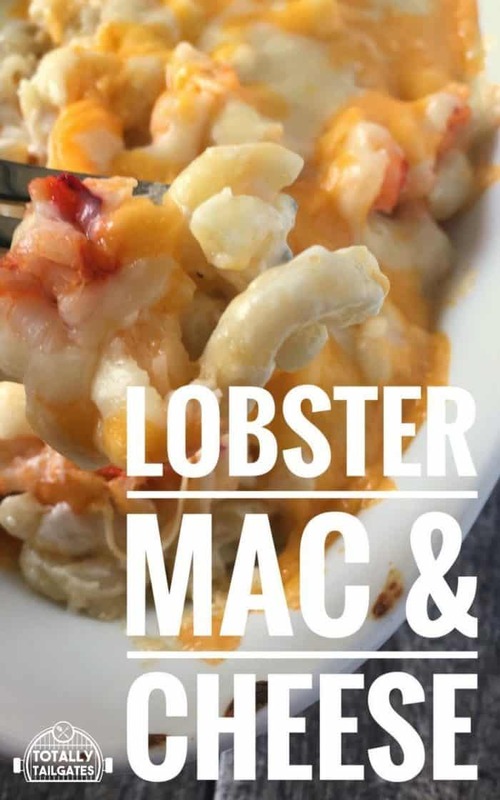 If you have left overs, you can make Country Fair Style Fried Mac & Cheese Bites using this lobster mac and cheese recipe….they are SO good! Want more delicious dinner ideas? Try these out. Easy Chicken Salad Recipe is one of our family favorites. Preheat oven to 400 degrees. Spray glass baking dish with non-stick spray. Placed thawed lobster tail in dish and bake until meat is done and the lobster tail turns red. 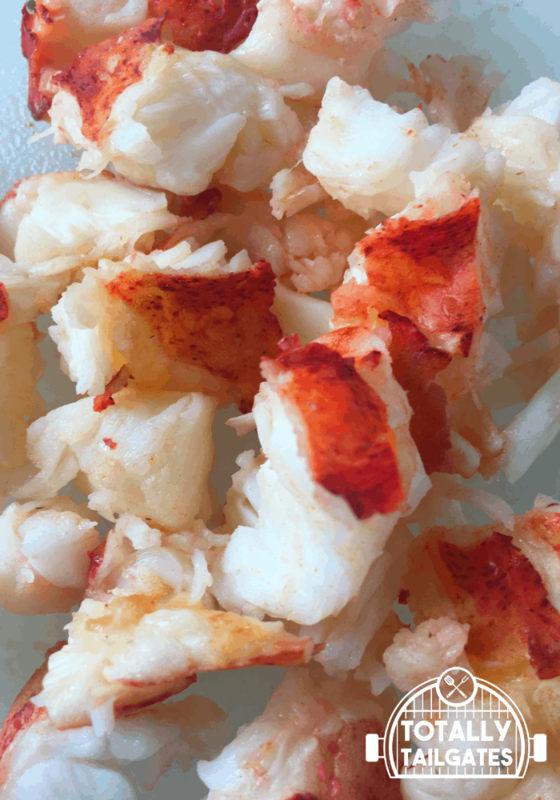 Remove lobster tail from oven, let cool slightly then coarsely chop lobster meat. Set aside. Turn oven down to 350 degrees. In a large Dutch oven, melt butter. Add flour and whisk until smooth. Slowly add milk, stirring continuously over medium heat. Continue stirring until mixture is thick and bubbly. Add Parmesan cheese and spices. Stir well, and gently fold cooked macaroni noodles into the cheese sauce. Stir until combined. Pour noodles into a large casserole dish (or several smaller ones) that have been coated in non-stick spray. Add chopped lobster meat on top of the noodles, followed by the Gruyere and cheddar cheeses. Cover and bake at 350 until hot and bubbly. You may remove the cover during the last 5 minutes of baking. 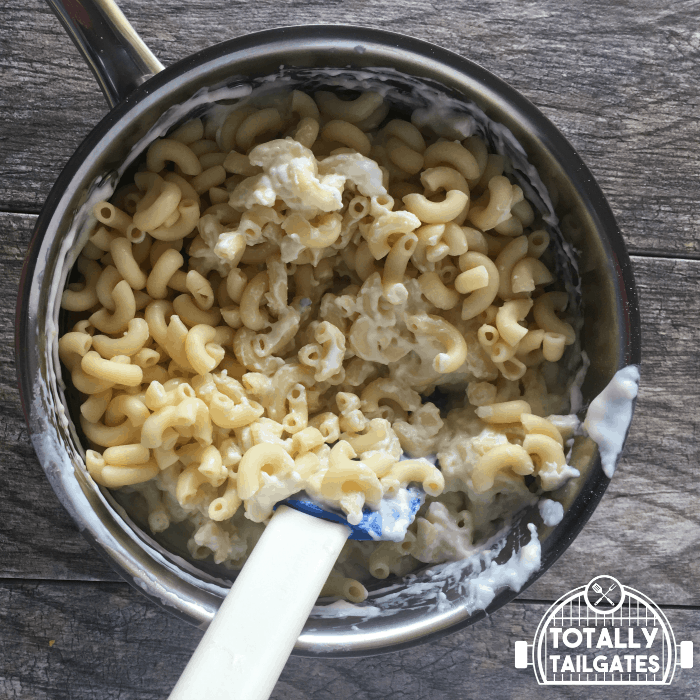 Have you ever tried to make your own mac and cheese?